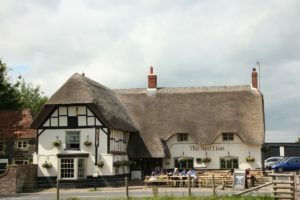 Drive through virtually any English country village and you are certain to see more than a handful of properties with traditional thatched roofs. 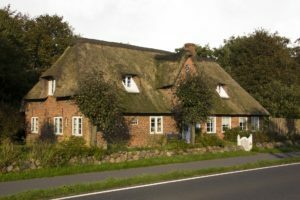 Very few potential homeowners would argue that a thatched roof isn’t an appealing idea, but many may be put off owning such a property due to some common misunderstandings. 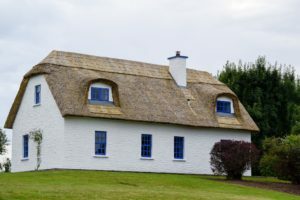 Concerns about pests and fire along with how often a thatched roof needs to be replaced and the associated costs are chief among such concerns. 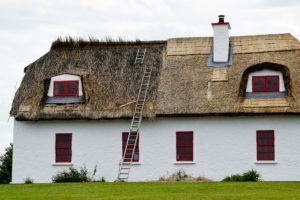 In this article, I aim to shed some light on how long a thatched roof is likely to last and when might be the best time to consider replacing it. As with any major investment, a property is likely to remain in good order and provide many years of home comfort if it is treated to some TLC in the form of regular maintenance. Many minor issues can be spotted during a regular inspection and ‘nipped in the bud’ before they have a chance to cause more costly damage. Actually damage or wear and tear to any type of roof can so often remain undetected by the properties occupants until the knock-on effects become apparent. By then, you could find yourself with water running down the walls or some unwelcome guests of the rodent or feathered variety sharing your cosy home with you. So how long should you expect your thatched roof to last? 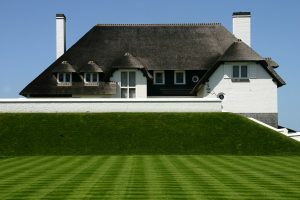 A well installed thatched roof that has been constructed using good quality materials is likely to stay serviceable for anywhere up to 50 years. The ridges, however, are likely to need attention every 8 to 10 years. Compared to the cost of a full replacement roof, replacing the ridges is generally considered to fall under the scope of roof maintenance. 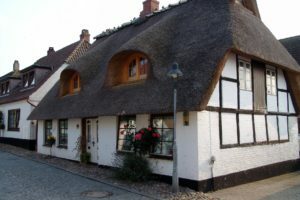 The 50-year figure for a replacement thatched roof is, of course, subject to the type of materials that were used either in the original build or during any subsequent replacements. This is an important factor in both the cost and the frequency of roof replacements and it will vary from property to property for the following reasons. 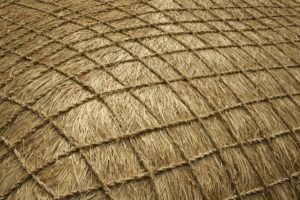 It is most often the case that the materials used in constructing and maintaining thatched roofs would have been sourced fairly locally. Whilst this in itself is unlikely to present a problem, it can be a factor in the lifespan of the roof. 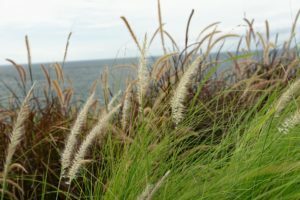 The most commonly sourced materials are river reed and a form of dried wheat for the ridges. 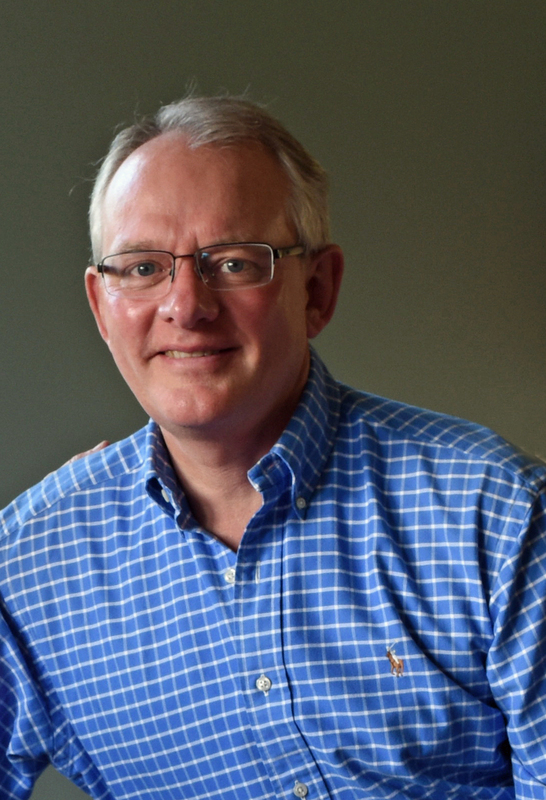 It may, of course, be that in some locations, different locally sourced materials would have been used and that can be an issue for the following reason. 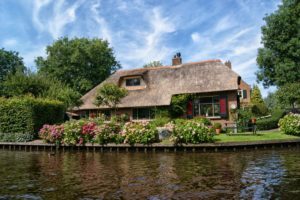 Age and character are likely to be default factors that come with ‘the territory’ when you fall in love with a desirable thatched roof property. That being the case, there is a better than sporting chance of those beautiful buildings being ‘listed’ and sited within an official conservation area. It is also pretty much a given that there will be an insistence to use certain materials in the replacement or repair of the thatched roofs in the area. With that in mind, potential owners would be prudent to do some investigating as to the age and condition of the properties roof and the projected frequency/cost of a replacement. Whether you already own a property with a thatched roof or you are considering purchasing one, a little due diligence is certain to go a long way. Armed with some understanding of how long your roof is likely to last, considering the unique insurance risks, and being aware of future potential costs, are certain to benefit you.